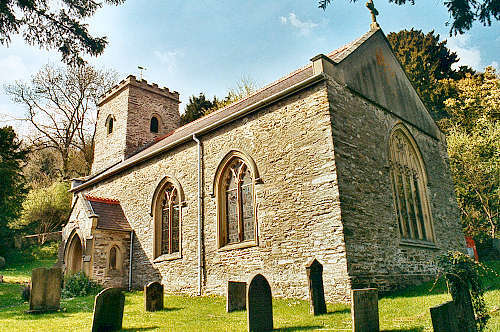 The parish was at one time a chapelry of Llangollen. It comprised the townships of Llafar Ucha, Llafar Isa, Nantir Ucha and Nantir Isa. For family history information about the church and parish, visit the GENUKI Llansanffraid Glyn Ceiriog page.